Enjoy Brian Peters of Buffer and Larry Kim of MobileMonkey in an exclusive webinar on Facebook Marketing. Facebook offers marketers and brands incredible ways to reach their audience on a daily basis. However, the new Facebook Algorithm is making it increasingly difficult for marketers to get their content seen in the Facebook News Feed. This session does a deep dive into the nuts and bolts of creating a strategy and content that works on a consistent basis on Facebook. We'll talk about video marketing, Messenger, Facebook Groups, how the algorithm works, increasing engagement and much more! 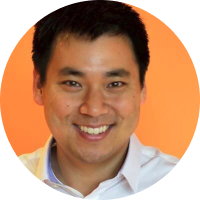 Larry Kim is a top columnist on Inc., Search Engine Land, Social Media Today, among other top publications, is currently ranked the #8 most popular author on Medium, and has more than 20,000 followers on his Facebook page where he shares daily social media and marketing insights. 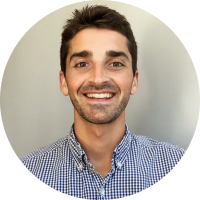 Brian Peters is the Digital Marketing Strategist at Buffer. He's responsible for planning and executing on cutting edge digital marketing and social media strategies. In just one year, Brian increased Buffer’s social media reach and engagement by more than 300% across multiple channels.